In the moment, buying a dozen donuts always seems like a good idea. In retrospect, however, it's always too much... and you inevitably end up with a box of stale donuts a few days later. Instead of trying to power through them (and make yourself sick in the process), a new possibility exists: giving these tasty treats a second life as donut chips! Tasty suggests slicing each donut in half, then 'smashing' each half down with weight to make each half very thin. 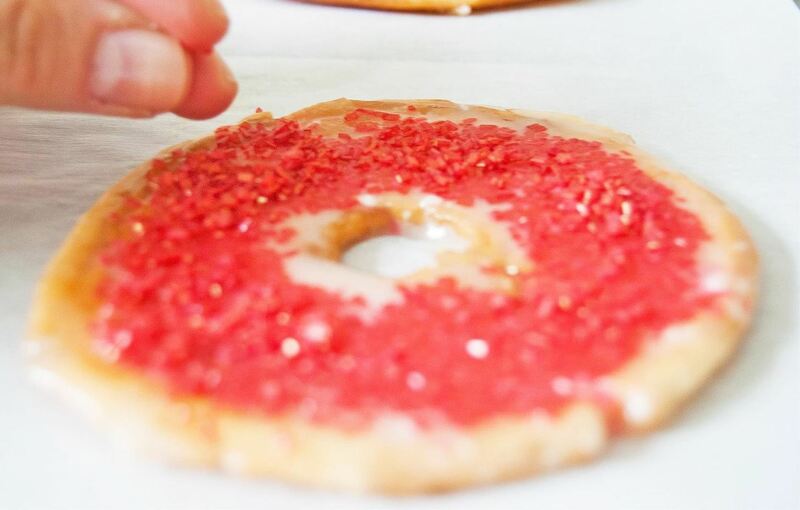 Thrillist suggests slicing each stale donut thinly. Both of these methods achieve a chewy chip consistency at the end—but which one is best? I put both methods to the test. Feel free to improvise the toppings as you wish—this is just what I had on-hand (and what I thought would be delicious with my freshly-made chips). 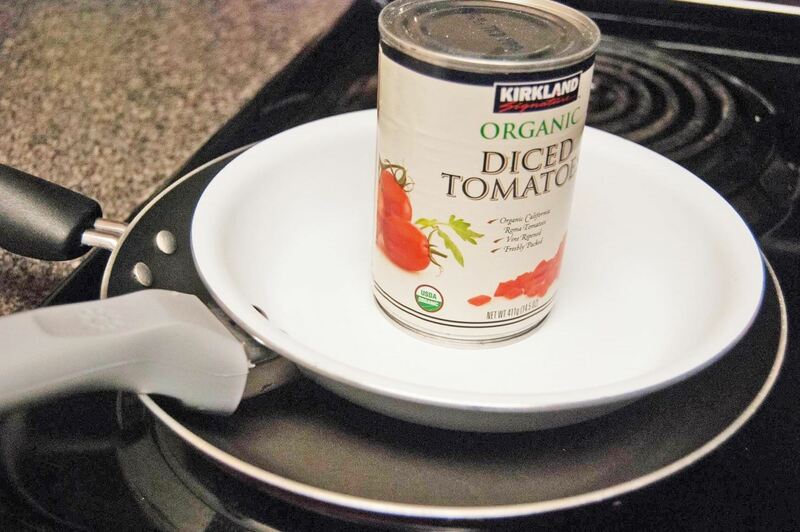 Along with a knife and frying pan, you'll also need a smaller frying pan (or plate) that will fit in the pan and a heavy item, such as a can, to achieve the 'smashed' effect. Don't Miss: Deep Frying Without a Deep Fryer: Which Pan Is Best? Turn the stove up to medium heat and pour the oil in the pan so it has a chance to heat to the right temperature. 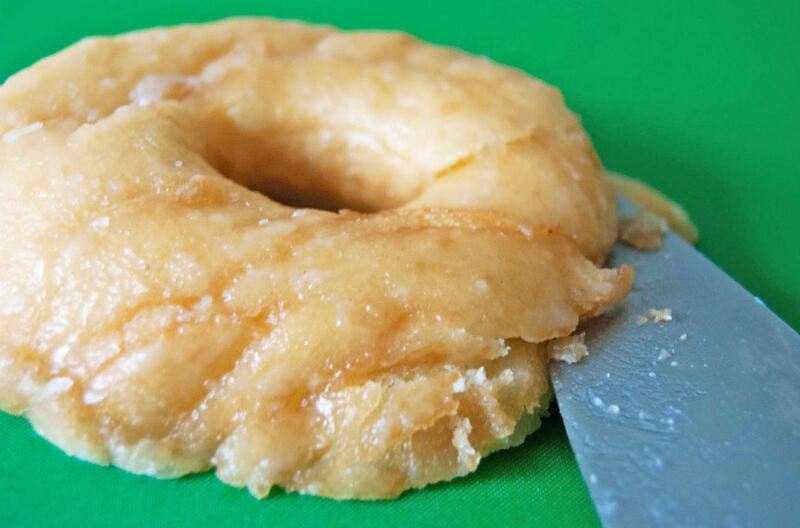 Slice a donut in half. 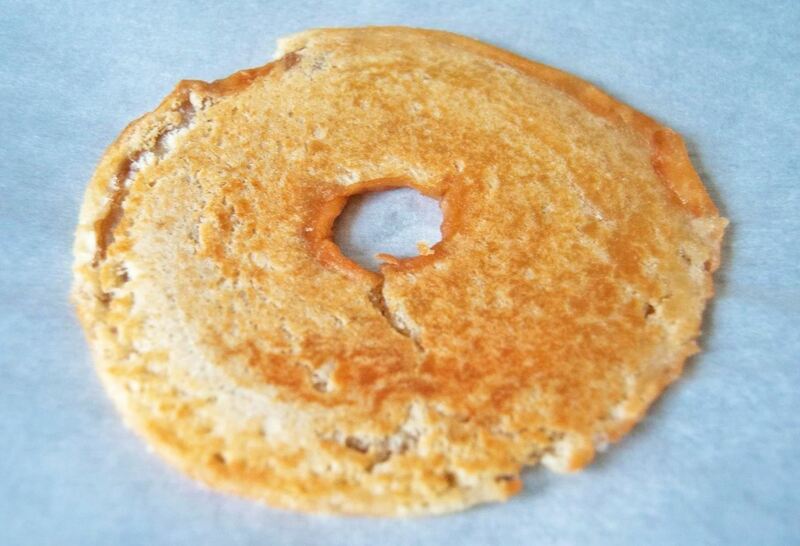 Place the donut half on the pan face up, then 'smash' it down with your smaller pan or plate. Place the heavy item on top of this, then fry for one minute. Let the halves dry on a parchment paper-covered baking tray or a wire drying rack for a few minutes. 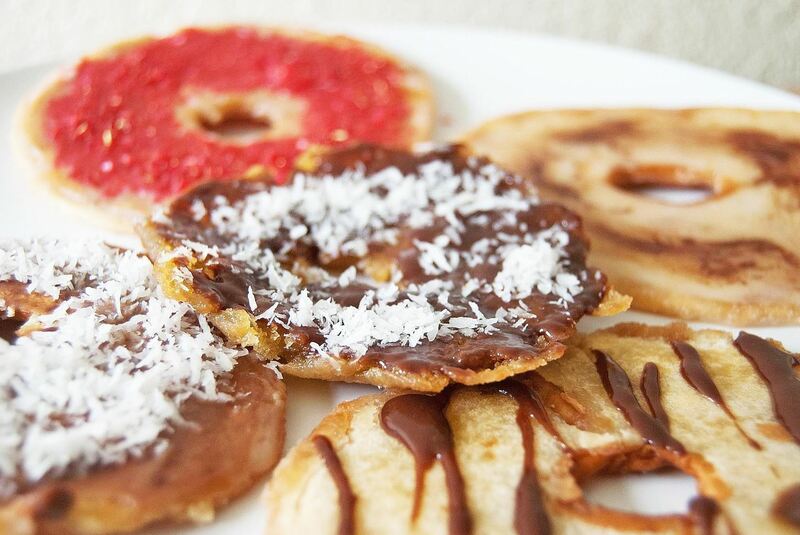 Be generous when topping your donut chips—I drizzled tempered chocolate on some, slathered vanilla frosting on others, and freely dusted many of them with coconut flakes and sprinkles. Forget less is more: more is more! Enjoy your crispy-yet-chewy chips to your heart's content. As expected, these were delicious. But I couldn't stop here, unfortunately—so I moved onto trying the second method for donut chips. 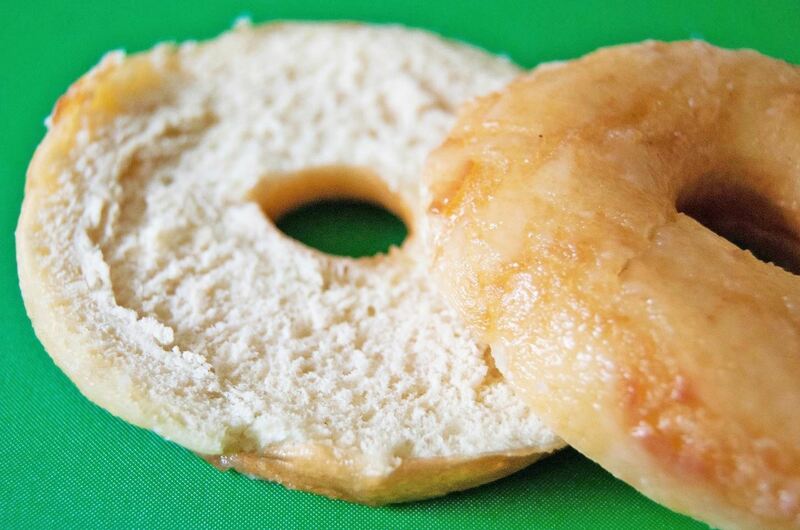 Slice a donut in half, then slice the halves in half once more. 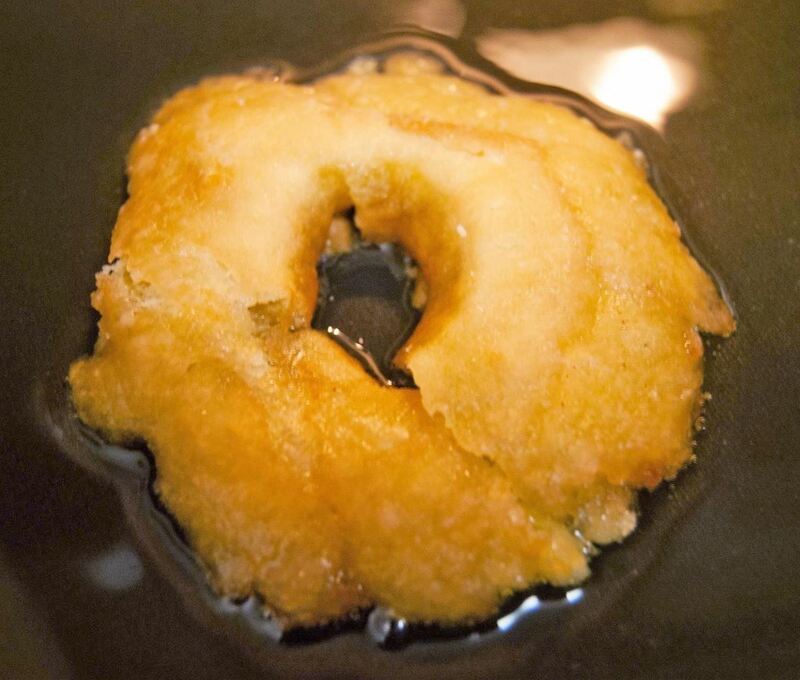 Gently place one of the donut slices into the oil and fry until golden brown. The thin slice should be fully submerged in the oil; if not, either add more oil or flip the slice once the edges are golden-brown. When both sides are golden-brown, carefully remove the slice from the pan and let it dry on parchment paper or a wire drying rack for a few minutes. Just like with the smashed donut chips, go crazy with the decorations! After testing both methods for efficiency and tasting the final results, I would say the winner is Tasty's "smash" method, hands down. Smashing the donut make it thicker, which also makes it easier to handle and sturdy. On the other hand, the Thrillist "thin slice" method requires more precision when cutting; also, the slices are more delicate and fall apart easier. 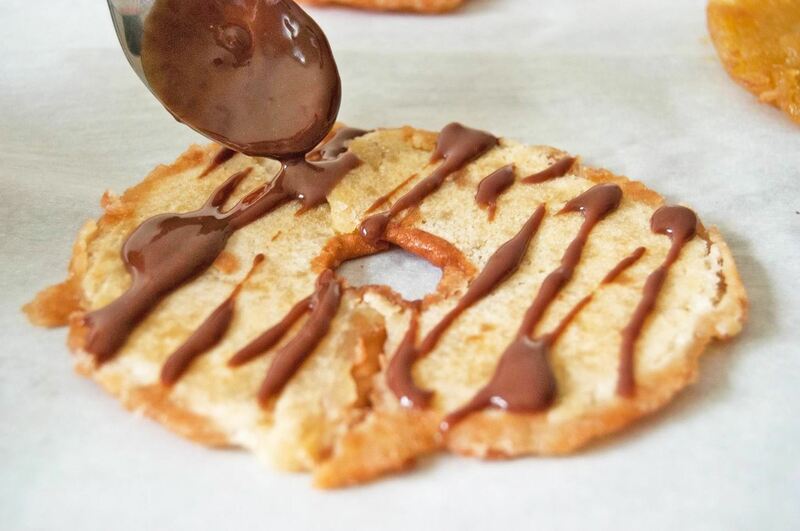 So if you're going to make donut chips, smash away—and fall in love with donuts all over again.